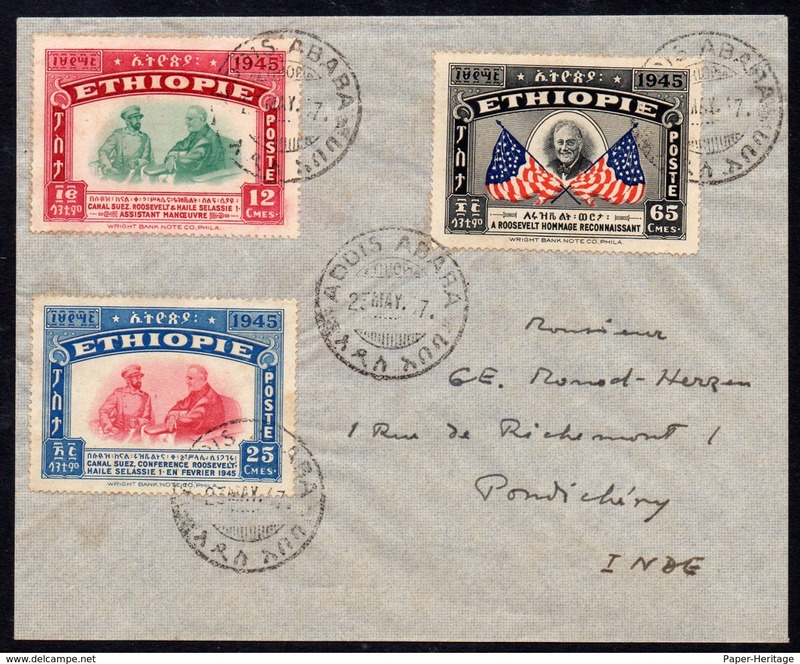 Ethiopia Cover to Pondichery India : 1947 Roosevelt Haile Selassie Flags postage set/3 first day cancels. 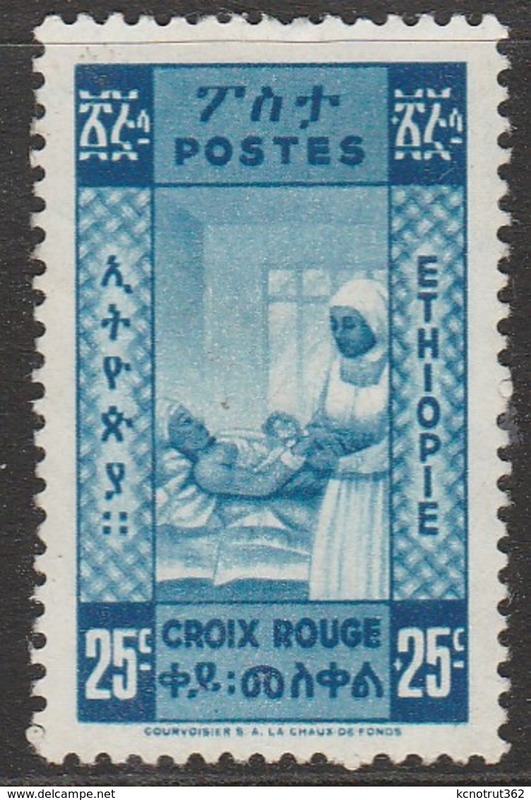 Ethiopia 1945 5c Nurse/Baby strip/10 with Victory (V) opt – Inverted + pair one without overprint. 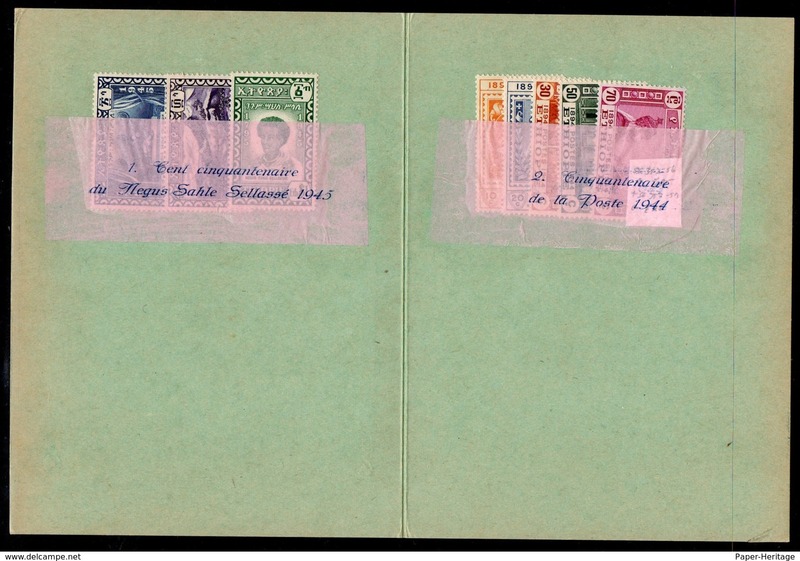 Ethiopia 1947 UPU Delegate Paris Congress Souvenir Folder with two MNH commem sets – see text. 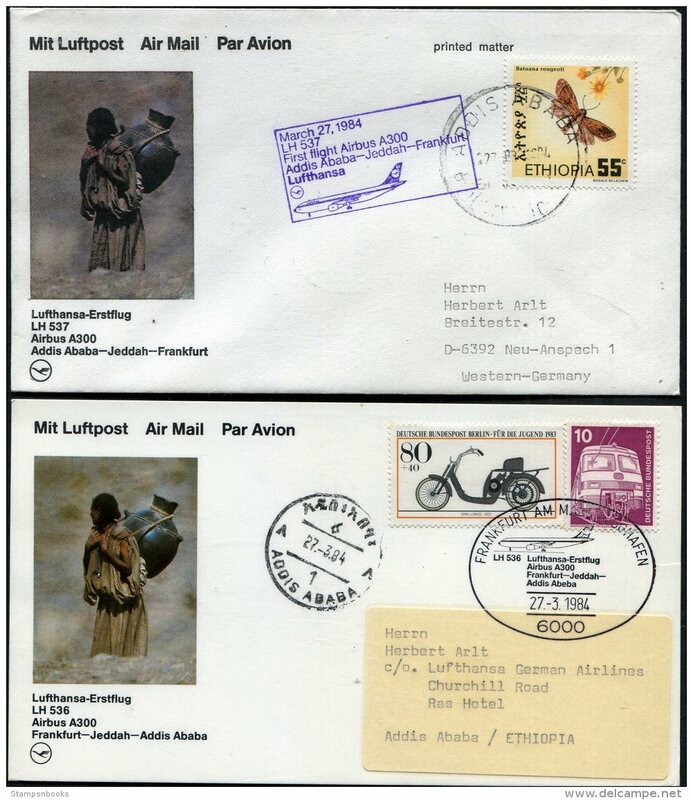 Ethiopia June 22 1942 set/5 on first day cover (fdc) – uncommon – see text. Ethiopia 1905 5 Centimes on 16g (with smaller 1902 opt) SG 90 MH, signed A Brun. Very Scarce. Ethiopia 1919 6g Church / Cathedral cancelled NIGER in a style unfamiliar to us. Most unusual. Ethiopia 1970 African Unity unmounted mint. Ethiopia 1970 Rock Churches of Lalibela unmounted mint. Ethiopia 1969 Ancient Ethiopian Pottery unmounted mint. 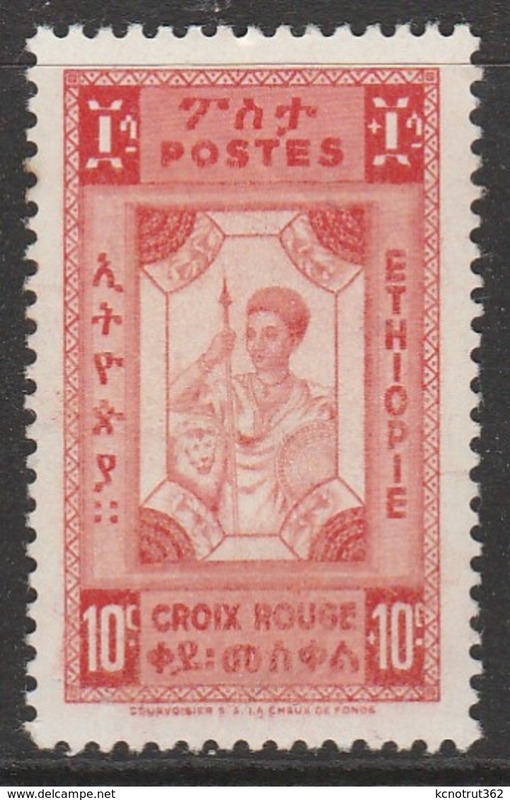 Ethiopia 1969 Ancient Ethiopian Crosses unmounted mint. Ethiopia 1969 Ancient Ethiopian Coins unmounted mint. Ethiopia 1968 Olympics unmounted mint. Ethiopia 1968 Human Rights unmounted mint. 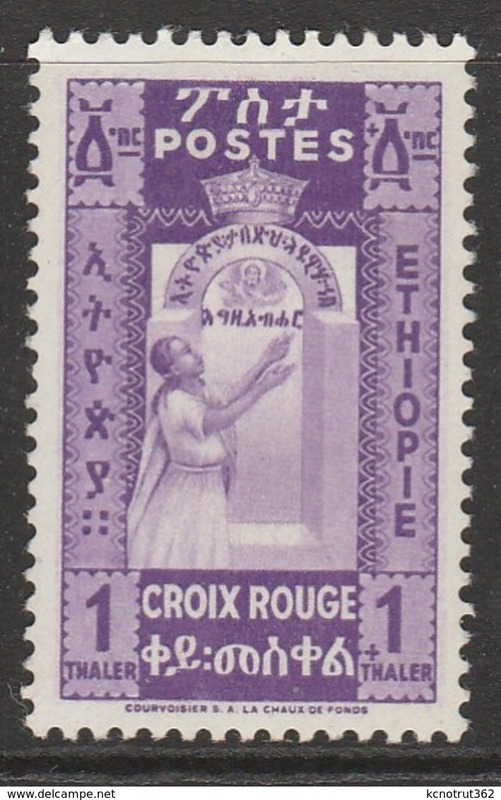 Ethiopia 1967 Crosses of Lalibela unmounted mint. Ethiopia 1967 Applied Microbiology unmounted mint. Ethiopia 1967 Butterflies unmounted mint. 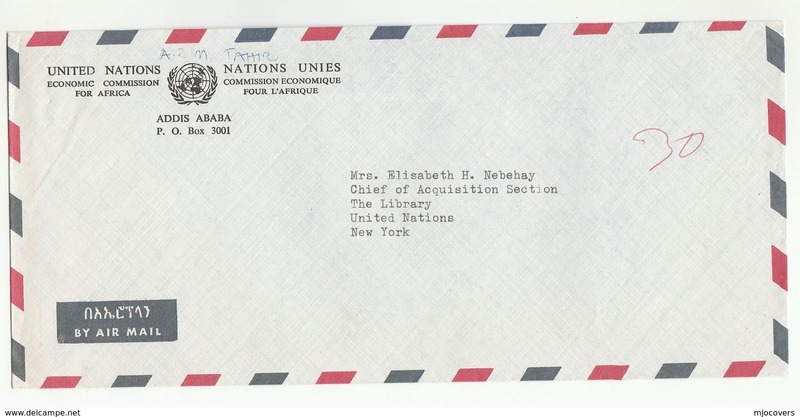 Ethiopia 1967 Montreal World Fair unmounted mint. Ethiopia 1966 WHO HQ unmounted mint. Ethiopia 1967 Ethiopian Birds unmounted mint. Ethiopia 1966 Ethiopian Birds unmounted mint. Ethiopia 1966 Fifty years of leadership unmounted mint. Ethiopia 1966 Musical Instruments unmounted mint. 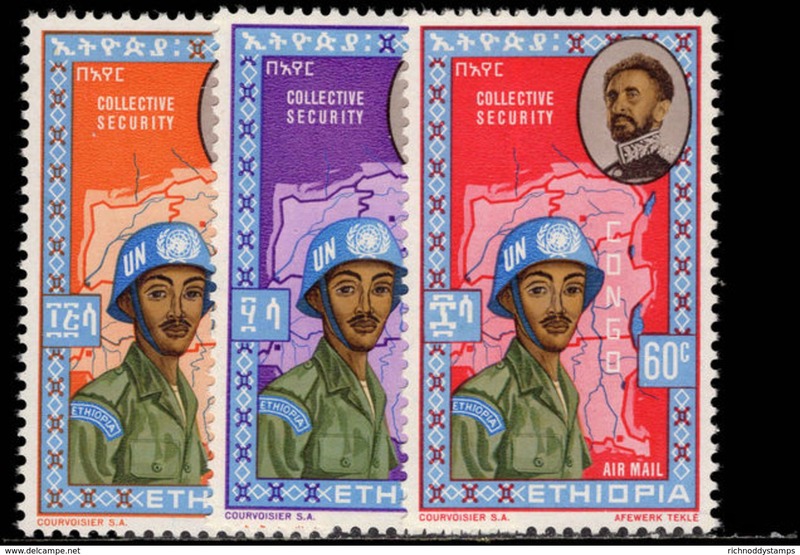 Ethiopia 1966 Light and Peace printing press unmounted mint. Ethiopia 1965 Banks unmounted mint. Ethiopia 1965 ICY unmounted mint. Ethiopia 1966 Animals unmounted mint. Ethiopia 1965 long set unmounted mint. Ethiopia 1965 ITU unmounted mint. Ethiopia 1964 Ethiopian Rulers unmounted mint. Ethiopia 1964 Eleanor Roosevelt unmounted mint. Ethiopia 1964 Olympics unmounted mint. Ethiopia 1964 Ethiopian Empresses unmounted mint. Ethiopia 1964 Ethiopian spiritual leaders unmounted mint. 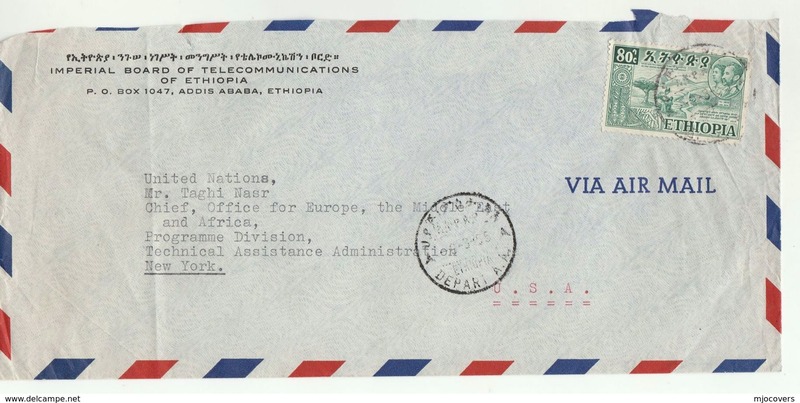 Ethiopia 1963 Aid for the Disabled unmounted mint. 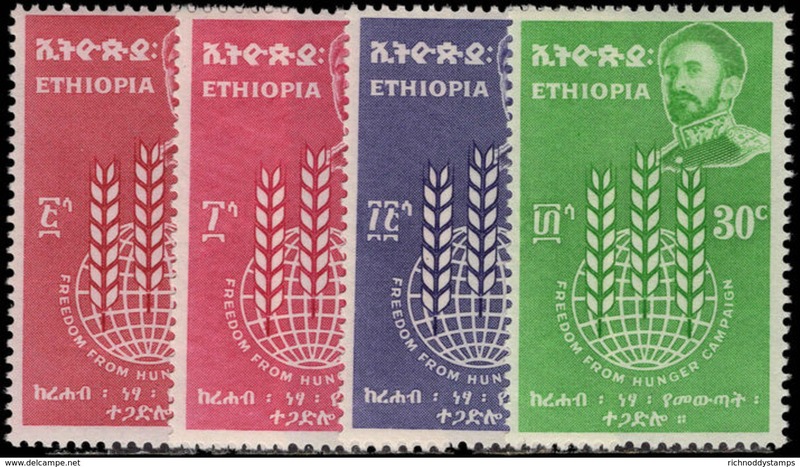 Ethiopia 1963 Freedom from Hunger unmounted mint. Ethiopia 1962 Ethiopian rulers unmounted mint. 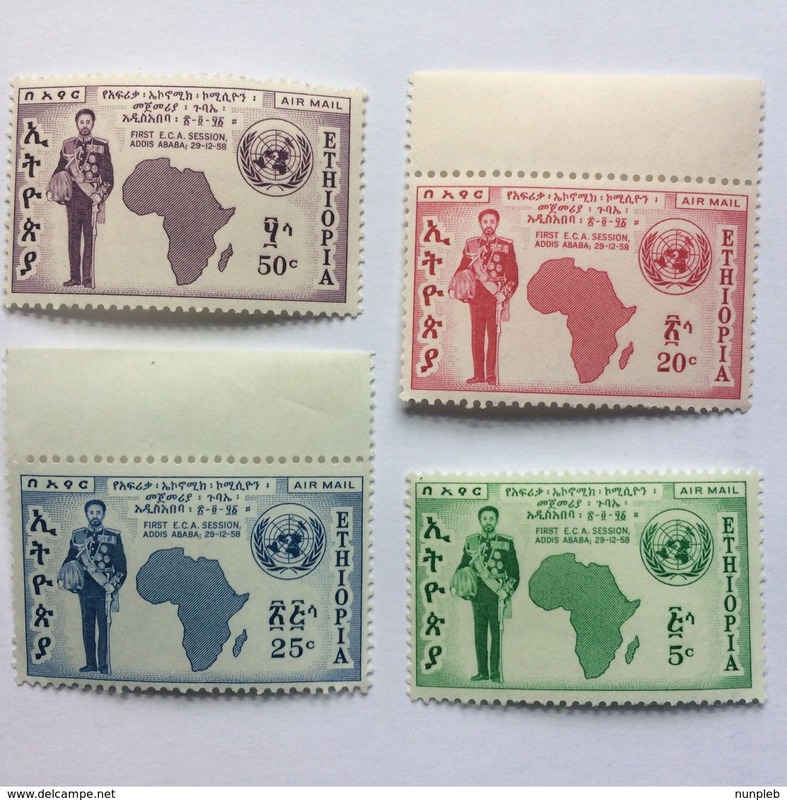 Ethiopia 1963 African Heads of State unmounted mint. Ethiopia 1962 Ethiopian troops in Congo unmounted mint. 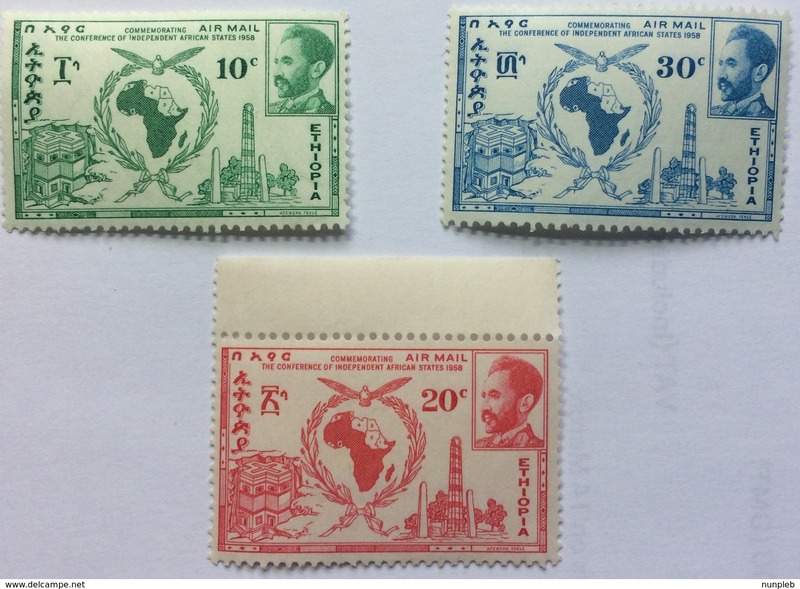 Ethiopia 1962 Malaria unmounted mint. Ethiopia 1962 Sports unmounted mint. Ethiopia 1961 Ethiopian Fauna unmounted mint. Ethiopia 1961 Liberation Anniversary unmounted mint. Ethiopia 1961 Africa Day unmounted mint. Ethiopia. 1954-5. Two fkd ppcds to Switzerland Asmara, Addis Aheba. Ethiopia. 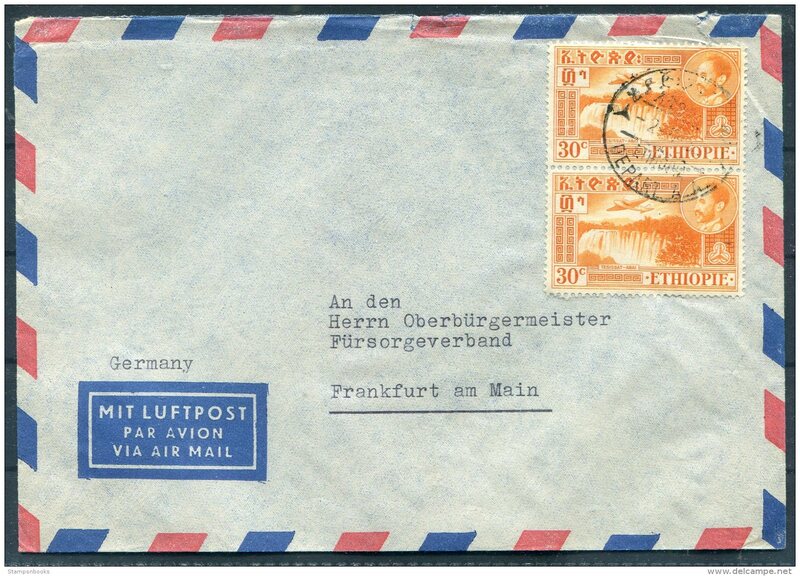 1950 (26 Dic) Addis Areha - Germany, Mecklenburg. 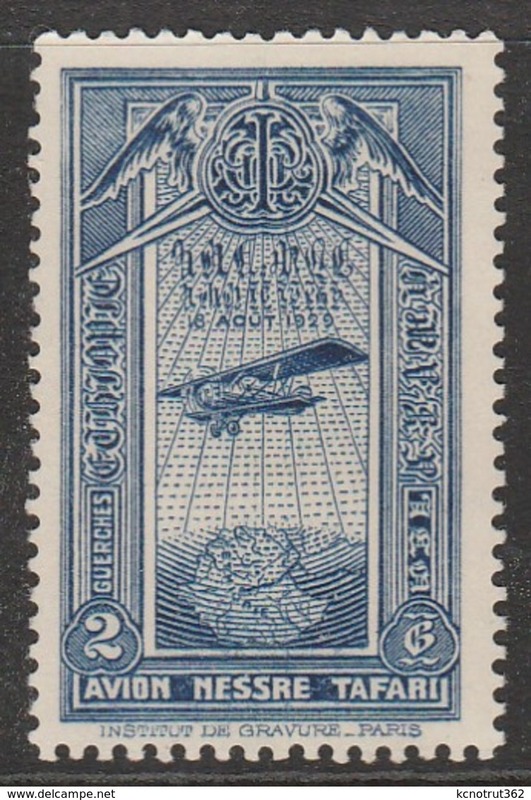 Includes ovptd value. Ethiopia. 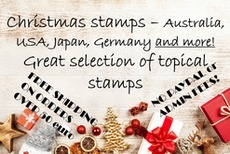 1935 (1 Dec) Addis Abeba - Switzerland, Bern. Multifkd ppc. 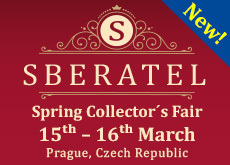 Nice item. Ethiopia. 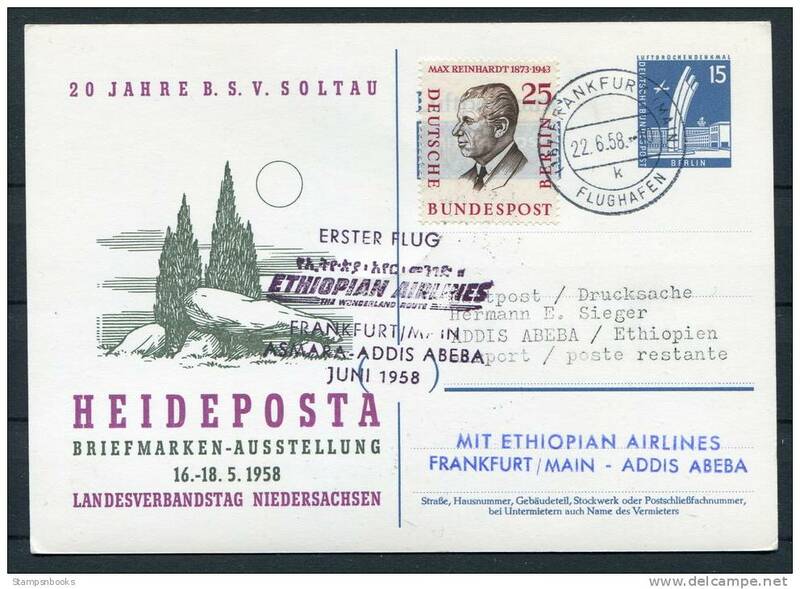 1935 (8 May) Addis Abeba - Switzerland, Luzern. 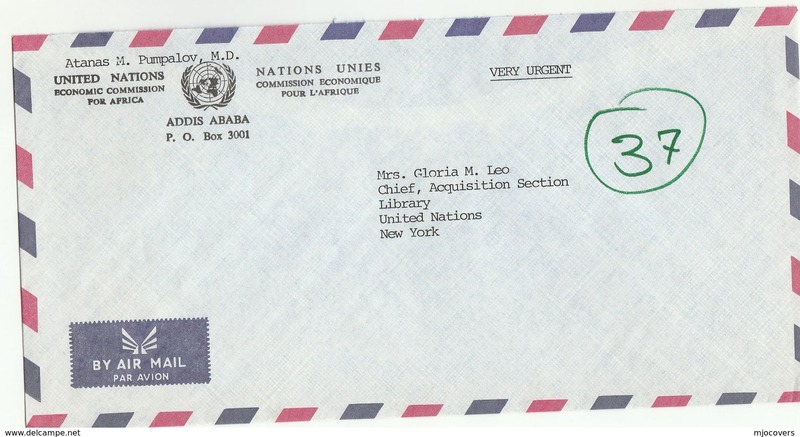 Multifkd envelope. Fine. Ethiopia. 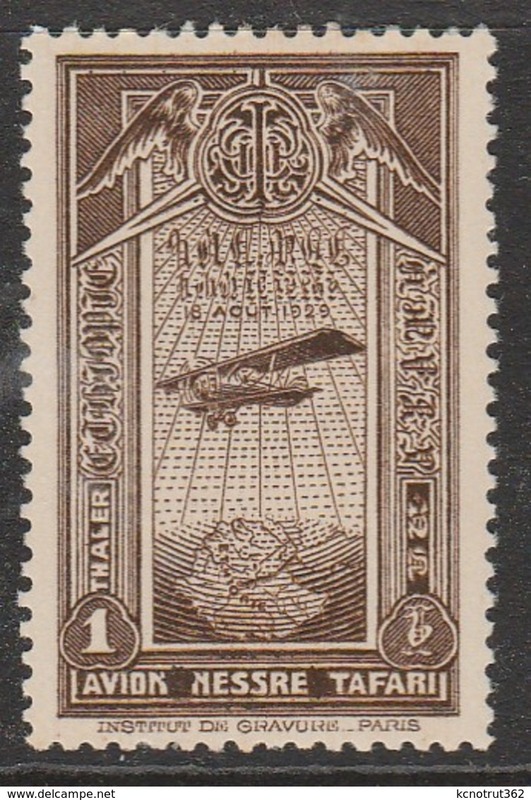 1935 (8 Feb) Addis Abeba - Switzerland, Luzern. 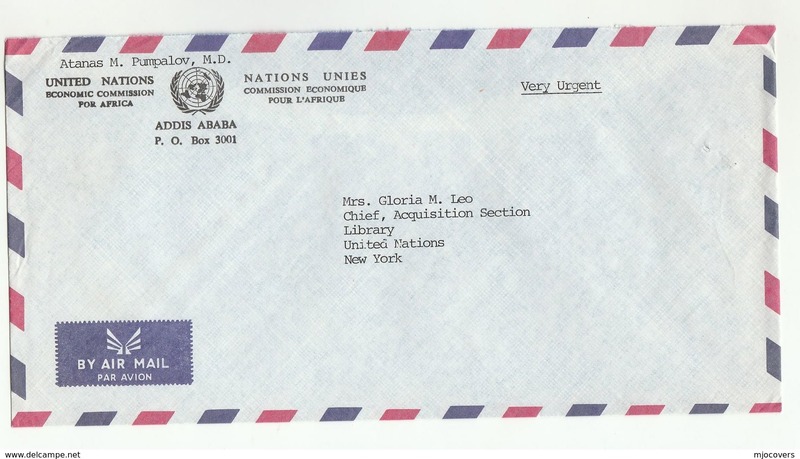 Multifkd envelope. Fine. 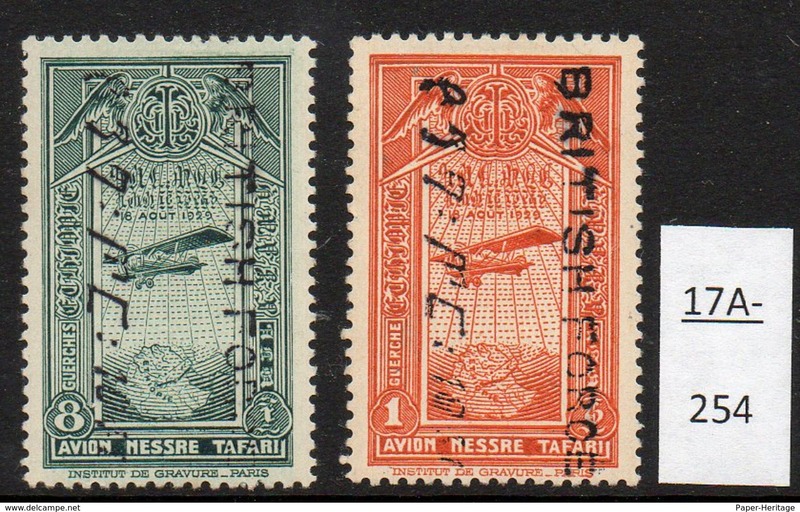 Ethiopia 1947-55 Air set fine used. 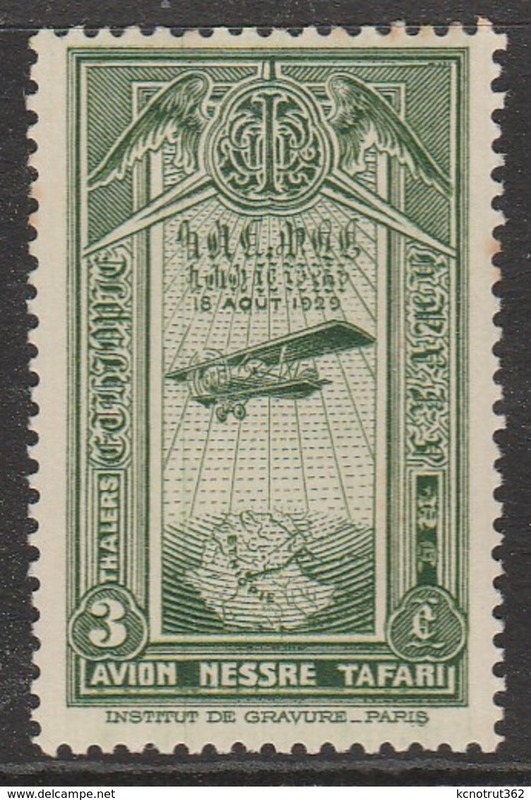 Ethiopia 1931 Air set unmounted mint. Ethiopia 1965 Ethiopian Flowers unmounted mint. 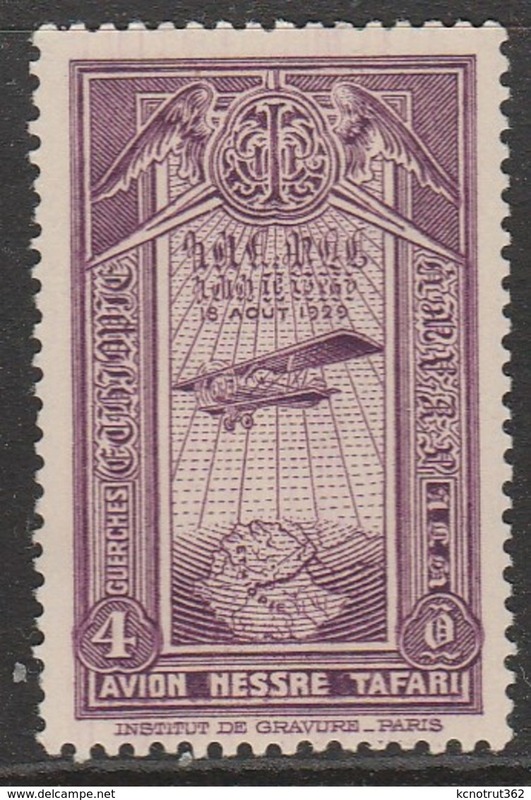 Ethiopia 1958 Air. 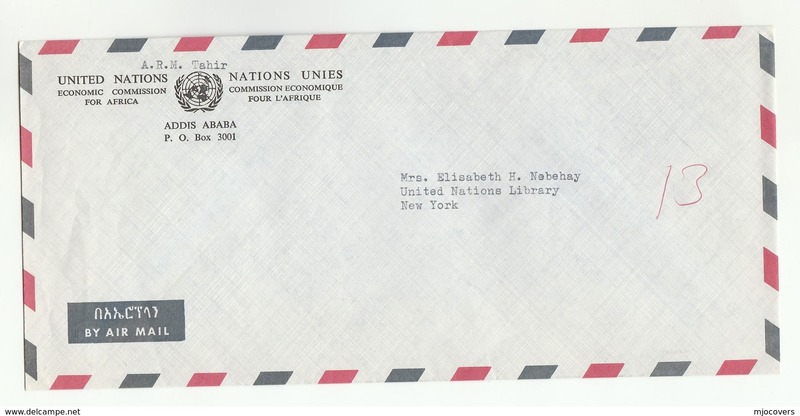 1st Session Of U.N. Economic Conference for Africa Addis Ababa unmounted mint. 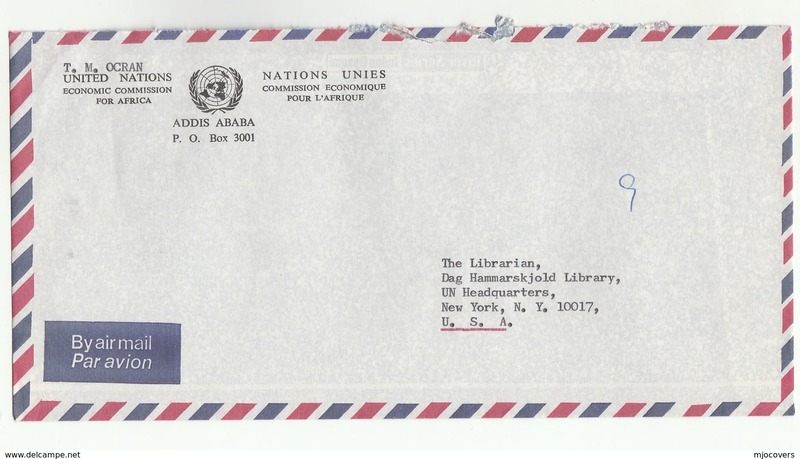 Ethiopia 1974 UPU unmounted mint. Ethiopia 1972 Olympic Games unmounted mint. Ethiopia 1969 African Tourist Year unmounted mint. 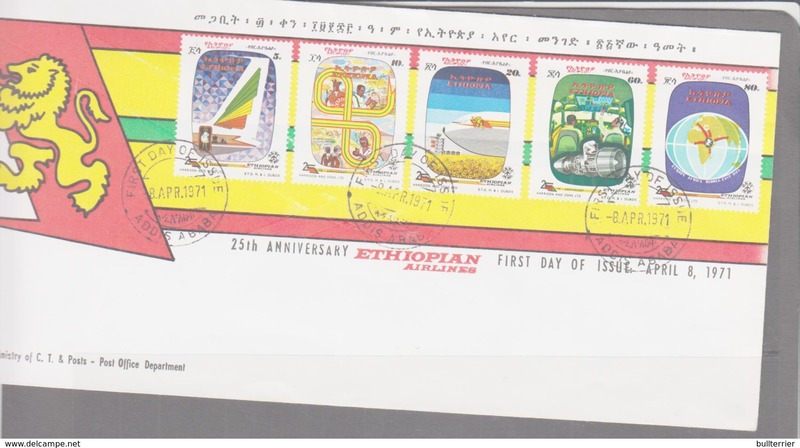 Ethiopia 1969 75th Anniv of Ethiopian Postal Service unmounted mint.